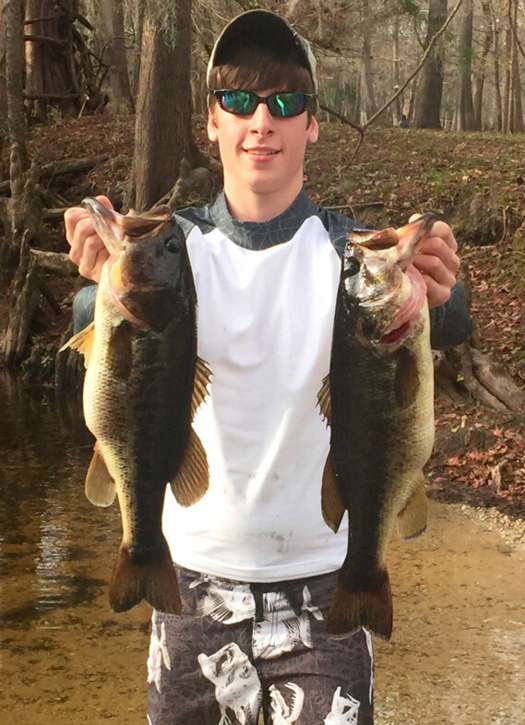 Jake Hartley with two nice Santa Fe River bass, caught on soft plastic baits. We have some terrific lakes (Rousseau, Orange, Newnans, Santa Fe) and some “fishy” rivers. Some, like the Suwannee, Withlacoochee, Waccasassa, and Steinhatchee meet the Gulf and saltwater anglers are often surprised with largemouth catches all the way to the mouth. Another, the Santa Fe River, feeds into the Suwannee after it rises from the ground just down from O’Leno and is fed by numerous springs and the aquifer. Mainly a “dark water” stream, this river has great angling potential, witnessed by Jake Hartley. On my recent trip over to Pickett’s Weaponry in Newberry where he works, Jake showed me some photos of some very nice 3 to 6-pound bass he’d caught in the Santa Fe River during the last month (November and December). 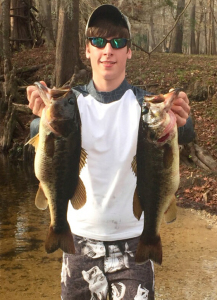 Jake fishes from a kayak and uses Zoom softbaits rigged Texas-style and has had his best luck upstream of Rum Island Park and downstream of the US27 bridge. 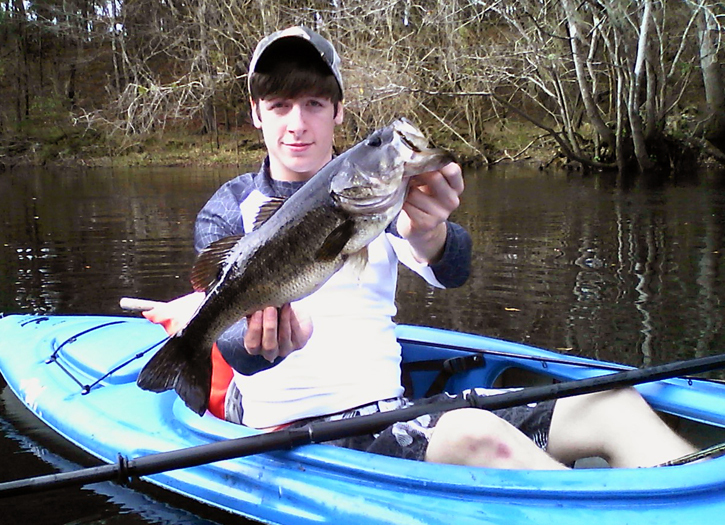 The lazy Santa Fe River is a perfect place to bass fish from a kayak! Me, if I wanted to bass fish this winter, I’d consider renting a kayak from Santa Fe Canoe Oupost and exploring this stretch of river with my rod and reel!